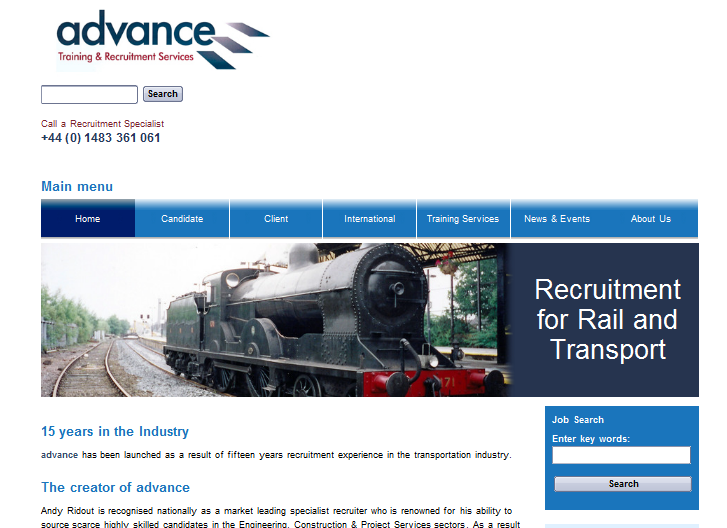 Advance TRS are specialist recruiters for the rail industry. Their site was built in Drupal 7 to match their own graphic design. Job search is facetted, allowing users to filter by a variety of different job aspects to find what they're looking for.